Sometimes, when it gets to Sunday, I think to myself, ‘How can a week have zoomed by so quickly?’ Luckily, I have this little One + Four = Life game to play. It not only reminds me that it’s a good idea to stop and think about the week that was, it also reminds me that the time does indeed fly by, so it’s good to do the things you most want to do, if that makes sense. This week I’ve been working, crocheting, writing, making toast, walking in the cold, going to friend’s book events, thinking about moving a lot, getting rid of things I don’t need and enjoying good things like the market, watching Lost and wearing cosy boots. Here’s a little guide to today’s shots. 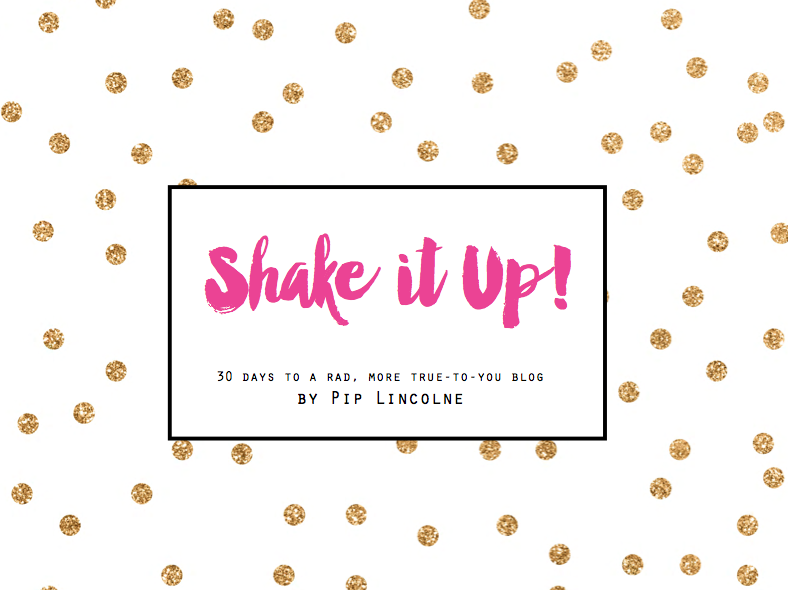 I may have snuck a couple of extras in – scroll down to see those! Whoops. 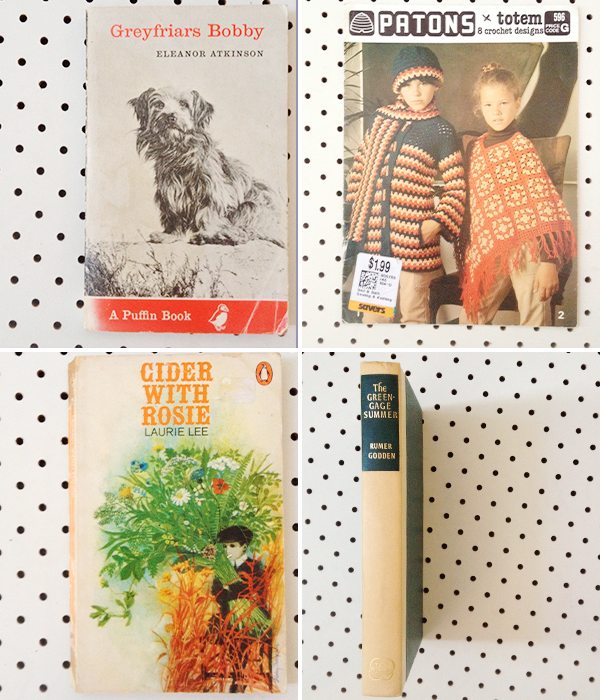 I am sort of, kind of, collecting vintage Puffins and vintage kids’ Penguin books. 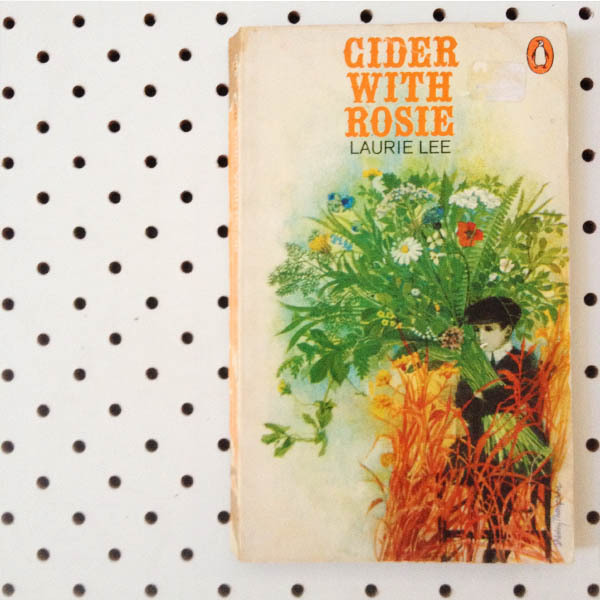 I think it is a comfort collection – reminding me of my childhood and I am toying with the idea of reading vintage kids’ Puffins & Penguins as a project for 2016. Also, that is the first time I have ever typed that year. 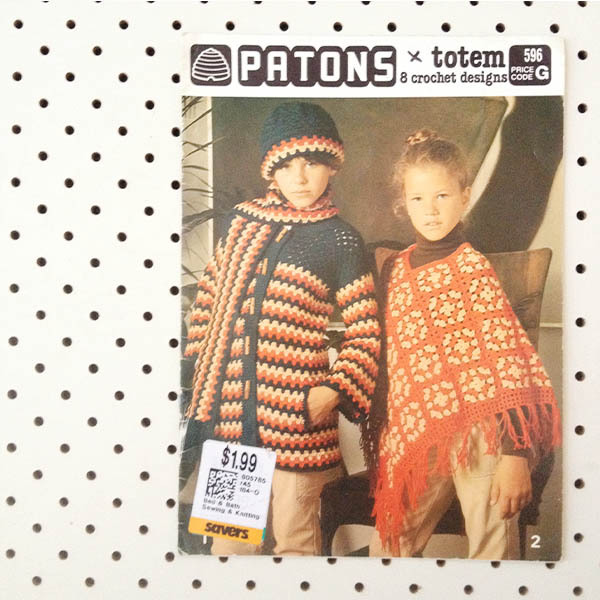 I bought this because I like to see the poncho layout. I am a bit poncho obsessed at the moment, obviously. Also, the hat and coat and scarf are based on a granny stripe, so I like them too. I have never read this, but I am adding it to the collection/2016 project pile. How beautiful are greengages? My nan used to make greengage jam and I wish they were easier to get in Melbourne. Sometimes we had greengage pie, even. 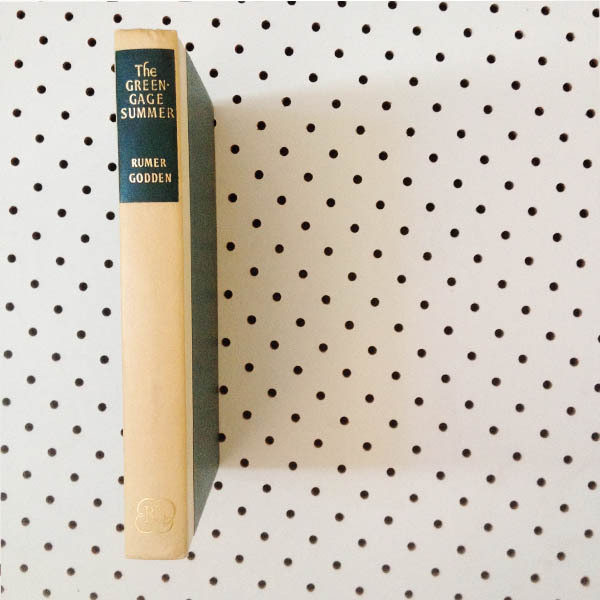 I bought this because it was $1.99 and also because it reminded me of who I am and also because I love Rumer Godden. A Hornsea canister to match the ones that Kirsty bought me. If you ever see these going cheap let me know as I want to have 123 of them. 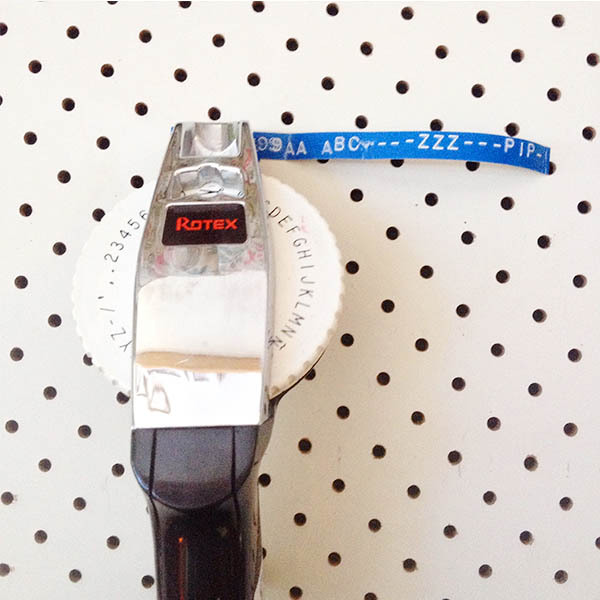 A Rotex labelmaker, complete with vintage Dymo tape. I have labelled my phone ‘Pip’. Ari has labelled his phone ‘Not an iPhone’. I labelled our house ’63’ but it fell off the front door. Dang. How about you? Do you like any of these things? Have you been op shopping lately? Are you playing One + Four = Life, too? 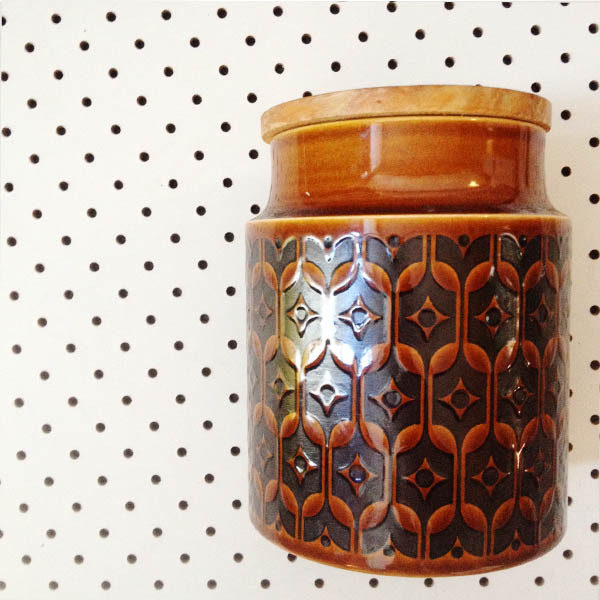 Ahhh… Hornsea heirloom pottery – I have been collecting for years and I am now banned from further purchases. I use my bowls, plates and cups every day, it should be used and never saved for best… BEST IS NOW!! I love the canister and those label makers are my favorite! I didn’t know you had Savers there. That’s a great store and you’ve reminded me that I should pay a visit soon. That canister is gorgeous! And I also love finding retro things at op shops! Oh my gosh, I love the demo label maker. So reminds me of my childhood! My dad had one for work and it seemed so hi-tech in the 70s. I remember labelling my school books with it. I love a good op shop and am fortunate enough to have atleast 6 of them in a 2km radius of our house. I find I am a bit luckier at charity secondhand booksheds and carboot sales for the real bargains. I must admit I’ve never seen or tasted Greengage in any of its forms! 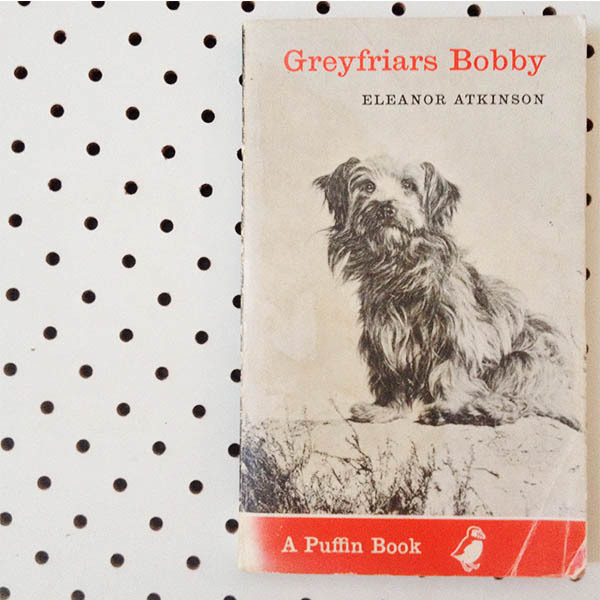 Vintage Puffins and Penguins are fabulous – some of the cover illustrations are fantastic .